The natural world is replete with examples of evolutionary convergence. That’s when two organisms that didn’t get traits they have in common from the same ancestor but instead got them on their own, in response to separate environmental pressures. In the Desert Botanical Garden in Phoenix, there’s a special exhibit that addresses the evolutionary convergence of the agave genus of plants and the aloe genus. These two genuses aren’t even in the same family, and they came into being in ecosystems that are very far apart: The agaves, also known as century plants, exist in Mexico and the Desert Southwest. 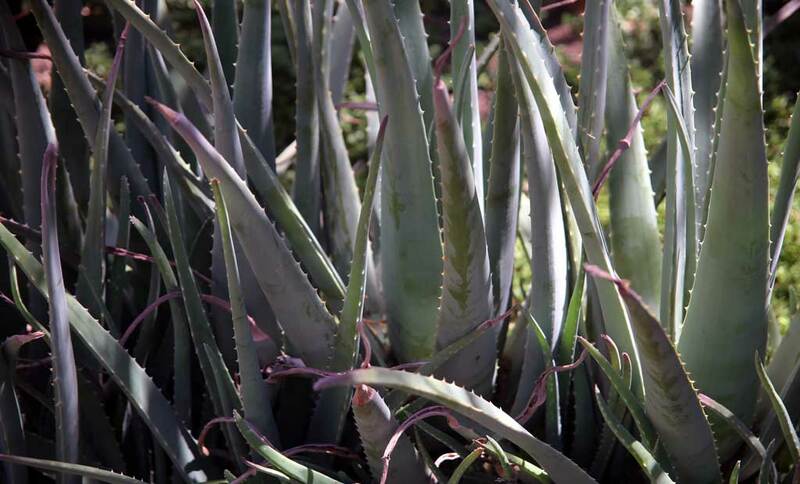 Aloes, by contrast, exist on the African continent south of the Sahara Desert. The environment in southern Africa is similar to that in the Desert Southwest: hot, dry, desert-like. 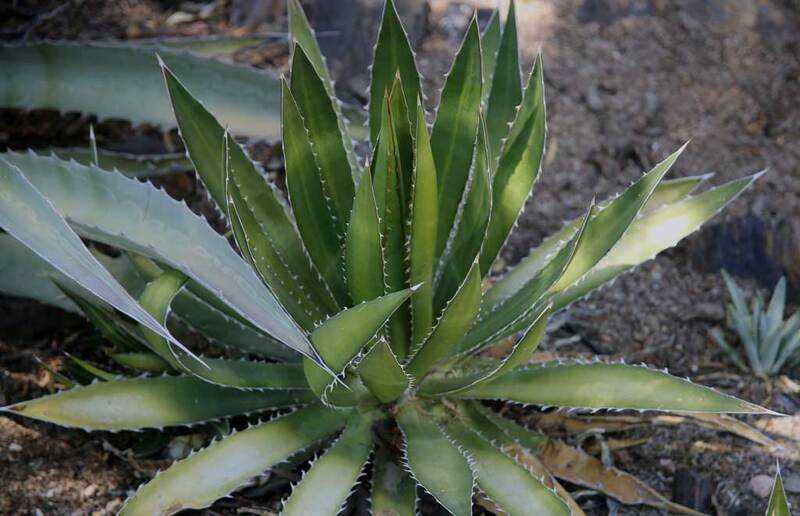 As you can see from the pictures, the thorn-crested agave has traits similar to those of the aloe vera plant: thorns, thick leaves that come to a point, and so on. The thorns that each developed are clearly there to keep non-pollinator animals from eating the leaves. Not only do the thorns act as swords to injure any potential herbivores, but they also act, mainly through their coloration, to warn potential herbivores away, a 2011 study published in Plant Signaling & Behavior suggests. Animals do this sort of thing all the time. Think about insects that have developed the yellow and brown stripes seen in dangerous wasps. Think about caterpillars that use coloration not only as camouflage but as a warning. Think about birds that have developed coloration patterns that make them look unpalatable to potential predators.